Now before I start I must warn everyone that I am no expert at In-Running betting and I have done very little of it over the years. I've read a lot of articles on the subject and have watched many, many Betfair markets in this time but I've never seriously delved into the in-running trading business. For the purposes of this post I will be concentrating solely on horse-racing in-running betting. I'm sure there are a lot of serious traders out there reading this (please feel free to post any tips/comments) but they'll have to excuse me as I'm going to start with the basics for the benefit of those readers who have yet to try in-running betting. There's quite a bit to get through so I'll split it into three sections over two posts (Introduction, Beginners tips and Advanced strategies). Many years ago (well not that many actually) the only in-running betting on offer was when you were lucky enough to be at the track and a bookmaker would shout out '6/4 the favourite' when the beast was tailed off and about to be pulled up. Surprisingly they never seemed to get too many takers! 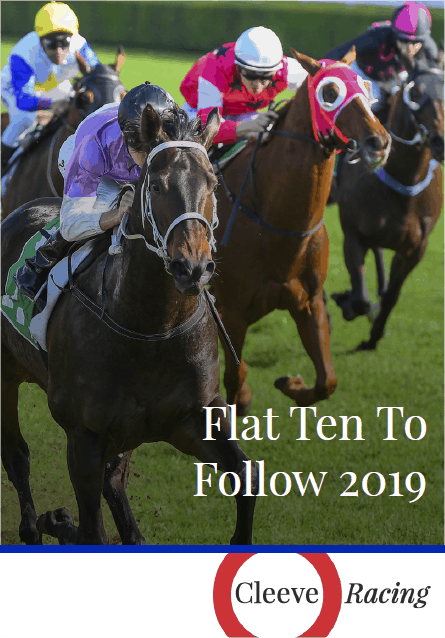 How things have changed though because, with the advent of the betting exchanges, we now have in-running betting on just about every race and sporting event taking place around the globe and that cry of '6/4 the favourite' is most likely to be 1000/1 now. Put simply, in-running trading is backing or laying a selection once the race/event has begun. The odds are adjusted as the race begins and unfolds until betting ends as the race finishes (or shortly before it ends if the result is a formality). The high street bookmakers have all latched on to this form of betting and offer it in their shops on many events but the vast majority of all in-running trading is done on the exchanges (i.e. Betfair) with punters pitting their skills against one another. Make no mistake, this is a skill and you will need to make split second judgements on many occasions if you are to be successful. Typically the odds on offer will range from 1/100 up to 1000/1 and though you may think a 1/100 shot is a near certainty the history of Betfair is littered with stories where such 'certainties' have been turned over and proved extremely costly to those that have bet these odds. The truth is they do get beat and if you decide that backing these short priced 'good things' is the way you wish to trade then remember you will need a very good strike rate to compensate for one of these unexpected eventualities. There are plenty of different types of in-running traders varying from those that prefer to take the very short odds to those that are always on the lookout for a massive priced upset. You also get those that rely on their own race reading skills to determine which horse represents good value at any particular stage of a race and back there judgements accordingly either by laying those that don't look like winning or backing those that do. Another type of trader is that which seeks simply to take a small profit (or green up) by backing a horse at certain odds then laying it back at shorter or vice versa e.g. backing a horse who travels well at 2/1 and laying it at evens. If it sounds complicated it's probably because it is and before you start out in this highly volatile field of betting you really need to know what you're doing. You also need 100% concentration with no distractions. That means no reading the Racing Post or making a cup of tea in the middle of the race or ringing the chinese takeaway for your supper or playing on your Nintendo DS. Focus is the key! 1. Be aware of any time delay on the pictures you are watching. Coverage that may be broadcast as 'live' can be a couple of seconds behind real time meaning that the horse that you're backing as it cruises to the last fence 10 lengths clear may have in fact already fallen. Satellite, Cable and Internet coverage have the worst delay with Terrestial TV pictures probably the nearest to Live as you can get (without actually being there). 2. Trust no-one but yourself. Bet only by your own view of proceedings. No matter how great you consider the race commentator to be, forget what they are telling you is happening and use your own judgement. Your best bet is to turn off the sound and rely solely on what you see with your own eyes. If you've turned off the sound then the best way to distinguish between the horses is by the jockey's colours. Therefore you need to know what horse has what colours and most importantly - are there any colour changes? With things happening so fast in an in-running market it is essential that if your bet isn't matched immediately then you have to cancel it (or 'kill' it) straight away. What looks like great odds one second can be a terrible trade the next and you better believe that there's always someone willing to take / lay your bet if you've got the odds wrong. Bettor beware! In running betting is very volatile and happens at great speed so start off small and build up your stakes only when you become more experienced. Take notes, read up on horses running styles, know the courses & going and study in-running markets to see just how quickly they can change during the course of a race. Although there are some bookmakers who offer limited in-running betting markets to their customers you do tend to find the majority of in-running betting is done on the exchanges. Here you are basically betting against another trader and pitting your opinion against theirs. And it's in this basic understanding of how the exchanges work that lies the key to successful in-running trading. You need to find an edge, an advantage over your fellow traders and you need to be quick enough to take advantage of it. In a horse race things happen so fast that you need to be ready to strike as soon as this advantage becomes available. Ideally you should open a betting box for each horse as soon as the race starts and be ready to trade in one click if you wish to bet a particular runner (but remember to get out quick if your odds aren't matched immediately). You also need to be aware that you are betting on events that have already taken place (albeit a second or two ago) and therefore someone else may know something you do not! Watching the race via satellite gives a slight delay in the transmission of 'live' pictures and what you see isn't actually 'as it happens'.You can of course use this to your advantage and be the one who is in the know by visiting the track to watch the racing. If you have an eye for watching the horses and quick enough fingers it's possible to lay those fallers before everyone else watching on TV get the chance to cancel their bets. Now as I said in Part 1 I'm no expert at in-running betting, and this may or may not be true, but I do remember reading once that the order in which Betfair matches peoples bets are by allocating those seeking the smallest odds the biggest price and vice versa when matching lay bets. So if you submit a request to back a horse at 1.5 and someone at the same time asks for 1.6 on that same horse you would be matched first with the highest odds available. It certainly sounds feasible and it's worth remembering when trying to hoover up somebody else's rick in the market. Okay, so how do we go about finding an edge? If you're going to be serious about in-running betting then you need to put in the hours studying to find an edge or at least to have the same knowledge as all the other traders do. With the 60 racecourses throughout Great Britain all providing a different test for a horse's ability it's important to know the configuration of the track you're intending to bet at and how it could affect your horse's chances. A horse that is 10 lengths clear over the final fence at Taunton is a totally different prospect to one that is 10 lengths clear jumping the last at Cartmel. Why so? Well, if you look at the distance between the last obstacle and the finishing line at the two courses you'll see that while it's only 150 yards at Taunton, over at Cartmel the horses still have another 4 furlongs to race before they reach the Winning Post. And a lot can happen in 4 furlongs! While 1/10 might be a good bet at the Somerset track you may need to re-consider those odds when betting further North in Cumbria. Or how about the direction of the track, is it left-handed or right? Are there any runners that hang badly going a certain way? Does this course favour front runners? e.g. Newton Abbot / Chester or those that are held up? e.g. Epsom, Newmarket. Is there a hill to climb at the end of the race? What's the going? All these things need to be considered and while, of course, there are plenty of other variables to add into the mix, it does show the type of in-depth knowledge you need to bring to the table before getting seriously involved with in-running trading. A subject that has cropped up a number of times in recent posts and one that can be used to your advantage when betting in-running. If there are a number of sprints on a race-card or at a particular meeting it's important to study the way these races are run. Sometimes you will see that when the field splits into two groups that the advantage may change from the near side to the far side (or vice versa) during the course of a race. Armed with this knowledge you can back or lay runners at various times during a later race as the draw bias switches over from one side to the other (and sometimes back again). It's important to realise that not all horses run the same way. Some need to run from the front while others need to be covered up at the back of the field and the beauty of in-running betting is that you can see just how your horse is going to run straight after the stalls have opened. Before betting in-running became available you paid your money and took your chance but now if you want to back a front runner you can actually wait and see what the jockey intends to do. If he decides to restrain it then you have the option of waiting for another day but if he gets an early front running postition then it's time to get your money on. Look at Som Talaearlier in the season, I wrote quite a few times in posts that when he was allowed to front run he'd be worth backing and after being held up in both the Chester Cup and Ascot Stakes he was finally given the lead in the Northumberland Plate and led all the way for a 16/1 victory. Some horses like big fields while others just don't like crowds and prefer fewer runners. An example of this is Thebes who always seems to run, and is usually quite well fancied, in these big field handicaps. He races up with the pace and usually trades at or below his starting price for most of the race BUT his form figures when racing in fields of more than 20 runners reads 22nd, 10th, 22nd, 27th, 18th, 13th, 16th, 12th. He just doesn't seem to like being crowded at the business end of the race andif you want further proof take a look at his form figures when racing in fields of less than 10 runners - 21171231. The information is out there but you may have to look deep to find it. You also need to look out for the horses who seem to travel easily in their races but find little when under pressure or those that are vigorously ridden throughtout a race but keep responding to the riders urgings. Jockey styles are the same. We've all seen McCoy and Fallon pushing hard on horses from a long way out but still win and conversely we've all seen Paul Carberry and Timmy Murphy sit motionless on a horse only to find little when push comes to shove and get beat. These are just a few of the things you should be looking at if you're think of giving in running trading a go. It isn't easy but with a bit of hard work and by doing some research it can be a very profitable way of betting. And remember the 3 key points you need to make it a profitable exercise: Research, Speed and Concentration.